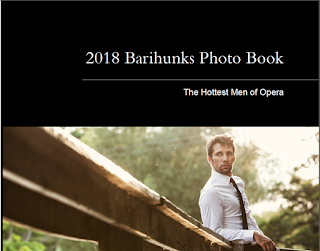 Barihunks calendar and photo book now on sale! Barihunks has released its 2018 calendar, which includes nineteen of opera's hottest singers, hailing from seven countries. Baritones and basses include Alexander Elliot, Brad Baron, Marco Vassalli, Malte Roesner, Cody Quattlebaum, Gianluca Margheri, Jason Duika, Joa Helgesson, Ken Mattice, Règis Mengus, Robert Brouwer, Sam Roberts-Smith, Thomas Weinhappel, Zacharias Niedzwiecki, Zachary James and Zachary Gordin. Most of our calendar ahave included one honorary hunkentenor, but we added three this year, including Derek Chester, Daniel Lopez and John Tibbetts. The calendar is available HERE. Due to requests from our readers, we've added a Barihunks Photo Book, which includes numerous additional photos not included in the calendar. The 20-page photo book is available HERE. All proceeds will go to promote baritones and musical commissions for low voice. Barihunk Edward Nelson is heading up an all-star cast of singers for an Oktoberfest celebration at San Francisco's Davies Symphony Hall on October 3rd. The American singer will be joined by the San Francisco Symphony Chorus and opera stars soprano Julie Adams, mezzo-soprano Daniela Mack and tenor David Blalock. Bavarian-born associate conductor Christian Reif will lead the orchestra in its first ever Oktoberfest, complete with German food and beer, as well as a polka dance party. Nelson will perform “Fin ch'han dal vino” from Mozart's Don Giovanni and Ambroise Thomas' "Ô vin, dissipe la tristesse" from Hamlet, both of which have themes around drinking wine. 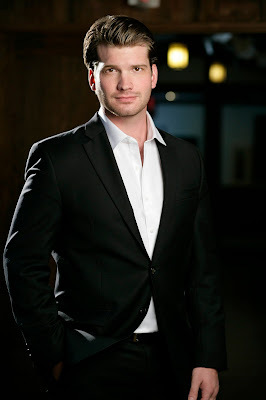 American barihunk Michael Adams will be making his debut with the Utah Opera as Marcello in Puccini's La bohème, a role he debuted in 2016 at the Grand Théâtre de Genève. He was recently featured in Opera News as being among "25 Rising Stars: Opera's Exciting New Voices." Adams was recently seen as Donald in Britten's Billy Budd at the Des Moines Metro Opera, a performance that will be broadcast on Iowa Public Television on September 29 at 8:30 PM CST. 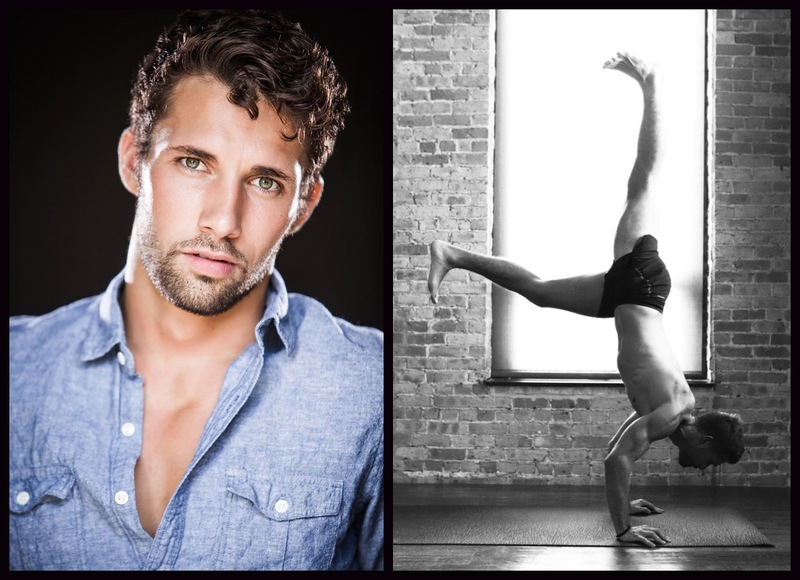 The cast includes barihunks Craig Verm in the title role, Zachary James as the evil John Claggart and Emmett O'Hanlon as the Novice's Friend, as well as barihunk turned hunkentenor Chris Carr as Maintop. Last month, the Washington National Opera announced that Adams would be one of the incoming members of the Domingo-Cafritz Young Artist Program, which began this month. Adams will be performing Melisso in Handel's Alcina in November and the Pilot in Portman's The Little Price in December with the company. He also is currently under a fest contract at the Deutsche Oper Berlin. Joining him in the cast of La bohème will be Samuel Schultz as Schaunard, Ao Li as Colline, Jennifer Black as Mimì, Scott Quinn as Rodolfo and Celena Shafer as Musetta. Tickets are available online and performances are on October 7, 9, 11, 13 at 7:30 PM and October 15 at 2 PM. 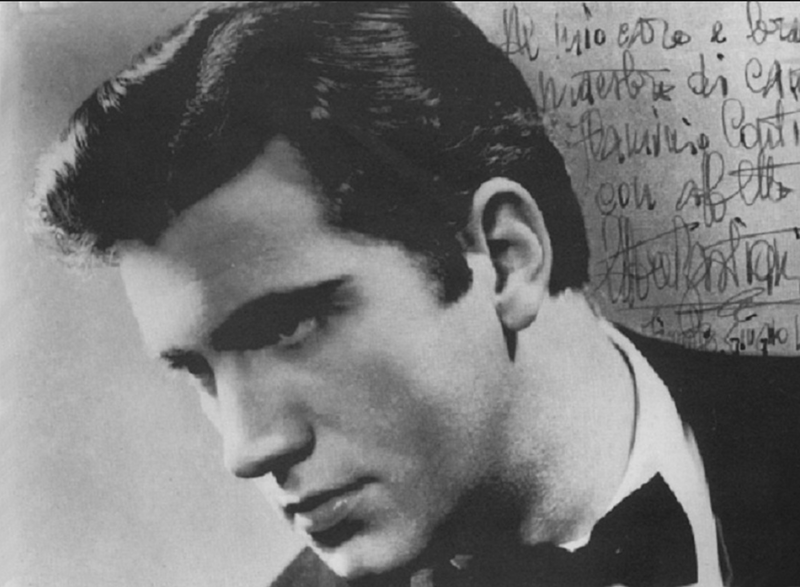 It is no secret that one of our favorite barihunks of all-time is Ettore Bastianini. We feature him whenever we have an excuse, but what's better than his birthday. Like the German tenor Fritz Wunderlich, we lost him long before his artistry was fully realized. Bastianini died of throat cancer at the age off 44, long before many baritones celebrate their greatest successes. Bastianini was considered one of the finest Verdi and verismo voices of his day. He made his recital debut as a bass in Siena in 1945 and his stage debut later that year in Ravenna as Colline in Puccini's "La bohème." He later moved into the baritone range where he voice seemed better suited. His top notes thrilled audiences throughout his career for their ringing splendor. He was a regular at La Scala between 1954-1963 and the Vienna State Opera between 1958-1964. In the United States, he performed regularly at Metropolitan Opera between 1954-1957 and at the Lyric Opera of Chicago between 1955-1958. His last performance was in 1965 at the Metropolitan Opera. Barihunk Richard Rittelmann and rising soprano star Julie Adams are teaming up for a campaign fundraiser to "Stop Bullying in Schools" sponsored by the Golden Gate Opera. The concert will be at Servino Ristorante in Tiburon, which has spectacular view across the bay to San Francisco. The duo will perform selections from Puccini's La bohème, Rossini's The Barber of Seville, Dvorak's Rusalka, Korngold's Die Todte Stadt, Wagner's Tannhauser, Bernstein's West Side Story and others. The Hungarian-French baritone recently presented Julie Adams with the Richard Rittelman Award at the James Toland Vocal Competition in Oakland, which provided the soprano with an all-expense paid trip to perform at the new cultural center “L’Espace du Theiy” in Provence, France. Adams, who was a Metropolitan Opera Auditions winner, also took away the top prize at the James Toland Competition. You can donate to the Stop Bullying campaign or purchase tickets online. Matthew Aucoin's opera Crossing is making its New York premiere at the Brooklyn Academy of Music from October 3-8. The ageless barihunk Rod Gilfry returns in the role of Walt Whitmen, whose Civil War diary that he kept while working as a nurse inspired the opera. Crossing explores how the individual experiences of soldiers are remembered and told. As Whitman listens to wounded veterans share their memories and messages, he forges a bond with a soldier who forces him to examine his own role as writer and poet. 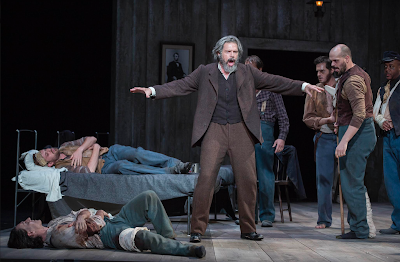 The opera, directed by Diane Paulus, begins with Walt Whitman's prologue, delivered while facing the audience in front a bunch of rickety hospital beds. Whitman sings, “What is it, then, between us?,” a key line from his poem “Crossing Brooklyn Ferry.” While caring for the injured soldiers, Whitman is drawn to a haunted-looking soldier names John Wormley, who is sung by tenor Alexander Lewis. The opera deals with a number of "crossings," including between poet and reader, performer and audience, and the contradictory elements of Walt Whitman himself. The cast also includes a spate of barihunks, including Davone Tines as a South Carolina slave, Hadleigh Adams, Michael Kelly as a soldier, Ben Lowe, Matthew Patrick Morris and Jorell Williams. Tickets are available online. The opera heads to California for its West Coast premiere in May 2018 for a concert performance at the Los Angeles Opera, which also stars Rod Gilfry. The opera originally premiered in May 2015 at the Shubert Theater in Boston. The San Francisco Opera continues its popular Opera Pop-Up series with bass-barihunk Anthony Reed and director Aria Umezawa, who are teaming up for Operatronica. The latest offering is geared toward those who are curious about opera and like EDM music. 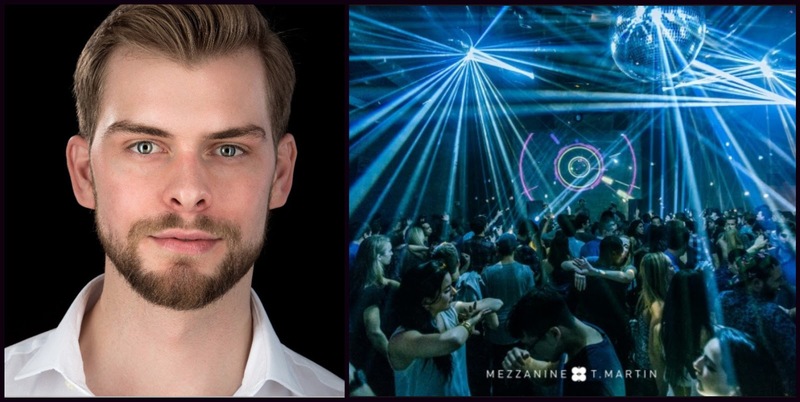 The duo will hit San Francisco's nightclub Mezzanine along with DJ troupe Loves Company, who will grind out some opera related late night beats. General admission is $20 and VIP access is available for $40. Tickets include a swag bag and a chance to meet the artists. For those who want to hear Anthony Reed in a traditional opera, he's performing Orest's tutor in Richard Strauss' Elektra and Doctor Grenvil in Verdi's La traviata with the San Francisco Opera. Tickets are available online and performances run through September 26th. Chicago-based barihunk Zacharias Niedzwiecki is new to our site and came to our attention earlier this year when he performed in Purcell's The Fairy Queen at Long Beach Opera. He received his undergraduate degree from Michigan State University, where he performed in numerous productions, including the role of Connie Rivers in the collegiate premiere of Ricky Ian Gordon's The Grapes of Wrath, Gilbert and Sullivan's The Pirates of Penzance as The Pirate King, Offenbach's Les Contes d'Hoffmann as Schlémiel, Kurt Weill's Mahagonny Songspiel as Jimmy/Cypress Stark, and Puccini's La Bohème as Colline. Niedzwiecki is in his second year as a member of the Professional Diploma in Opera Program at Roosevelt University’s Chicago College of Performing Arts in conjunction with Chicago Opera Theater. Last season he made his debut this with Chicago Opera Theater in Frank Martin’s The Love Potion as Duke Hoël, covered the role of Oberon in Purcell’s The Fairy Queen with Chicago Opera Theater and Long Beach Opera, and appeared in the US premiere of Phillip Glass’ The Perfect American. This season you can see Zacharias with Chicago Opera Theater in Menotti’s The Consul as Assan, the world premiere of Kevin Puts’ Elizabeth Cree as both Mr. Etcher and Karl Marx. 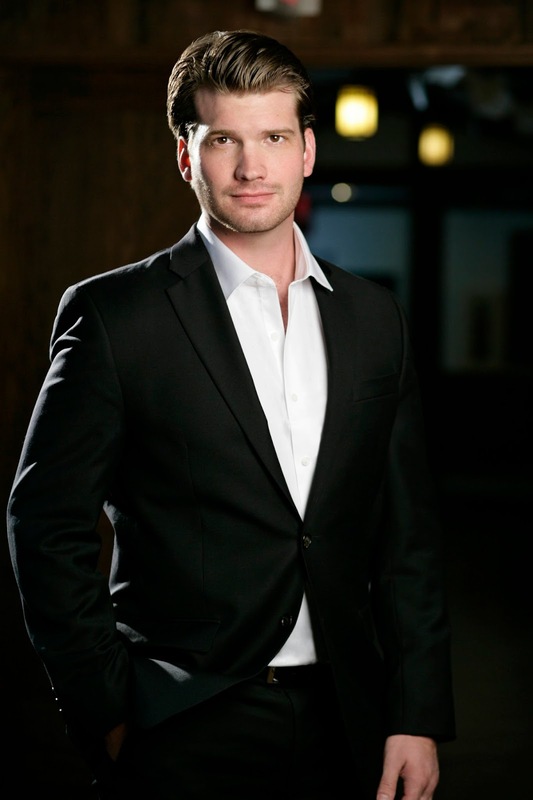 He will also be covering multiple roles with the Lyric Opera of Chicago in Gregory Spears’s opera Fellow Travelers. 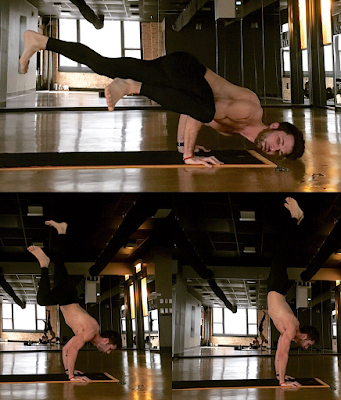 Niedzwiecki is also a cycle instructor and yoga teacher keeps his body as fit as his voice. 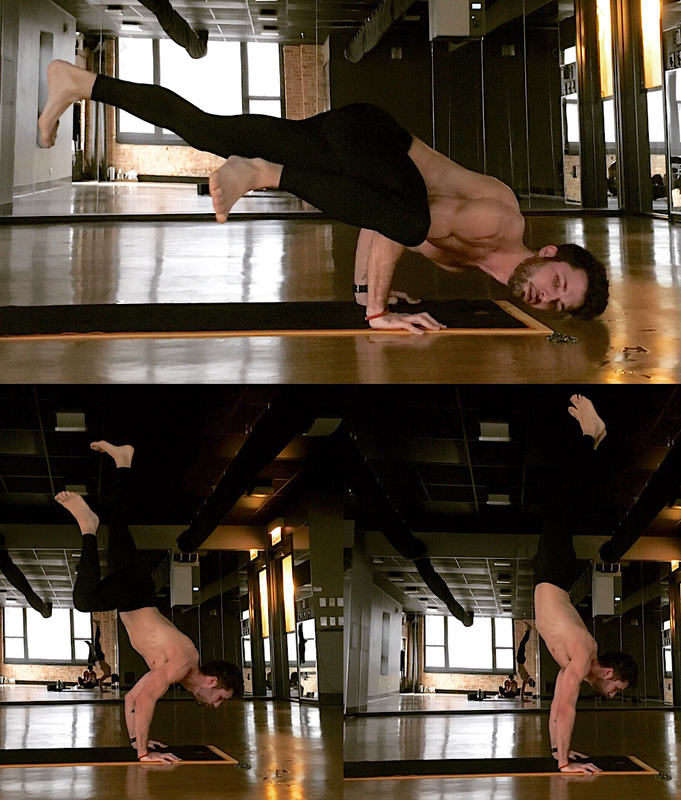 He answered some questions for us about his career, his fitness routine and a little about his personal interests. 1. What drew you to a career in opera? I was first drawn to the beauty of opera. When I was young, I thought that it was the most beautiful art form I ever experienced. I wanted to somehow be that beautiful too, so I aspired to be an opera singer. Somehow those aspirations became reality. 2. You are a cycle instructor and yoga teacher. Tell us about that and what got you started in fitness? I first got started in fitness simply to get in shape. I didn't feel entirely comfortable in my own skin so I made the choice to change that. Years later is just part of my lifestyle, besides teaching fitness working out everyday is just part of my routine. Some people read the paper with their coffee in the morning, I workout. 3. Do you feel that being in shape helps you on stage?I absolutely feel that being in shape helps many aspects of stage. I first started with vinyasa yoga. I read so many articles about singers who have worked out and became too tight to be successful in an operatic career. I didn't want that so I chose yoga as a way to tone and refine my movements. Being in shape allows in my opinion for you to have more bodily awareness on stage and at the same time look good doing it. 4. How do you respond to people who say that working out can restrict proper breathing for singers? As far as restricting proper breathing for singers I completely understand this thought, it's valid. For that reason I believe a work out regimen should be balanced. That's why I combine workouts in yoga, cycling, and interval training. Yoga itself is about breath and movement, lengthening the body and flexibility. Therefore I feel it is essential to incorporate yoga into all workouts routines. If and when I lift, I only lift so much that I can still have proper form and not so much weight that I ever strain. Regardless the voice should come first, if you notice something has begun to restrict your breath stop doing it. 5. Do you think the advent of HD broadcasts has changed the expectation of how a singer should look? Absolutely, I believe it has cause viewers to once again rethink this art form. Opera is an aural art form and a visual art form. With this in mind, it now being broadcasted, and our more health conscious society I feel the expectation have shifted for you to not only sound incredible, but for you to also look the role and look good doing it. 6. Are there any roles in particular that you really hope to get to perform someday? There are a couple, I would absolutely love to perform the role Hawkins Fuller from Fellow Travelers by Gregory Spears. The story is heart wrenching, the music is gorgeous and I would love to perform as a gay character. I would also like to perform the role of Escamillo from Carmen by Bizet. 7. What other passions do you have aside from music? I am an avid botanist, my apartment in Chicago is filled with plants. I really enjoy learning about plants and spending time researching about them. I feel growing up gardening vegetables and flower at home in Northern Michigan instilled this passion. 8. What do you listen to other than opera? I listen to all kinds of music. Teaching both yoga and cycling and having to make these very different playlists I have to listen to and search through a large variety of music. I really enjoy lately electronic house with female vocals and more chill ambient music like Olafur Arnalds. 9. Tell us something about yourself that people would be surprised to know. I took a year off from singing when I was 23 and became a research field technician of a Jaguar population density study in Panama. I lived there for about a year in the mountains, hiking everyday setting up camera traps along the mountain ridges. On September 29th, Iowa Public Television will broadcast the world premiere of the newly orchestrated version of Benjamin Britten's Billy Budd. The opera features barihunk Craig Verm, whose promo photo from this production were featured in our 2017 Barihunks Calendar. The episode will be available online. 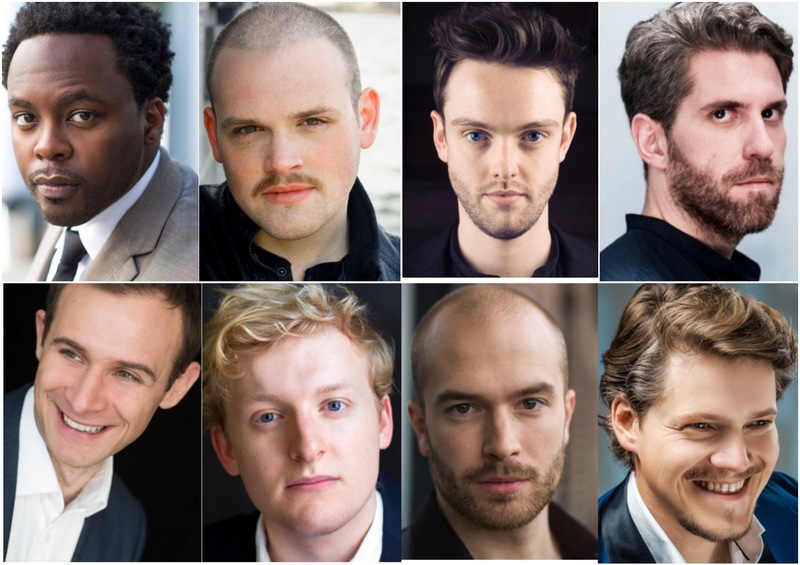 The production, which was filmed in July, features a number of other singers familiar to readers, including Zachary James as the evil John Claggart, Michael Adams as Donald, Emmett O'Hanlon as the Novice's Friend and barihunk turned hunkentenor Chris Carr as Maintop. The all-male cast included 70 singers and was the largest ensemble in the 45 year history of the Des Moines Metro Opera. [Zachary James is slated to appear in our 2018 calendar]. The Iowa Public Television coverage includes behind-the-scenes footage and perspectives on the making of Billy Budd, the stage experience, the opera’s complex emotional themes, as well as interviews with Des Moines Metro Opera General and Artistic Director Michael Egel, conductor David Neely, stage director Kristine McIntyre and principal cast members. In 2007, Verm first appeared in the opera as the Novice's Friend in Pittsburgh opposite the Billy Budd of Nathan Gunn and the thrilling Claggart of Greer Grimsley. The production was directed by the woman who inspired Barihunks, Francesca Zambello. Billy Budd had its world premier at London’s Royal Opera House on December 1, 1951 conducted by the composer with the role of Captain Vere sung by Britten’s partner Peter Pears. Billy Budd received its United States premiere in 1952 at the Indiana University Opera Company with Jack Gillaspy in the title role. 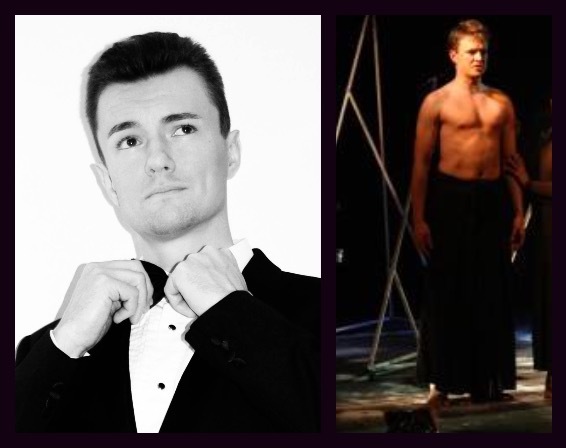 A number of famous barihunks have sung the role of Billy Budd, who many believe was secretly desired by the evil Claggart. 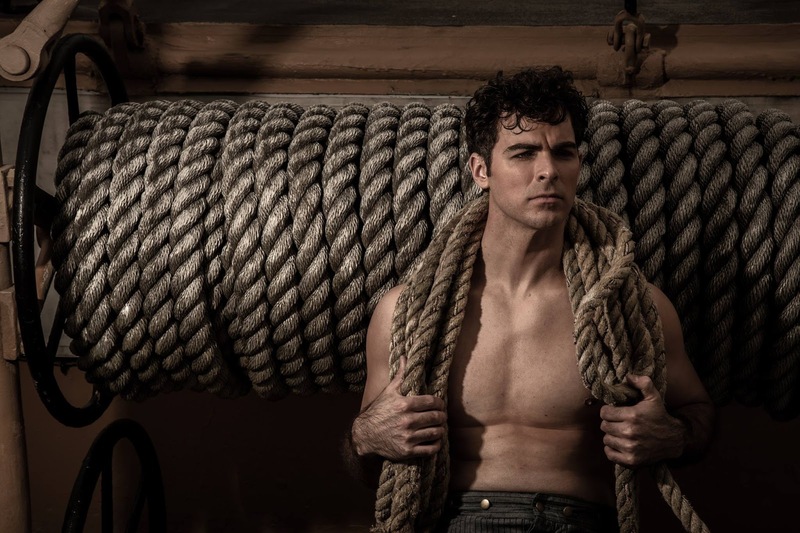 Famous barihunk Billy Budd's include John Chest, Simon Keenlyside, Richard Stilwell, Nathan Gunn, Rod Gilfry, Bo Skovhus, Thomas Hampson, Teddy Tahu Rhodes, Peter Mattei, Lauri Vasar, Lucas Meachem, Jacques Imbrailo, Daniel Belcher, Roderick Williams, Iurii Samoilov and Liam Bonner. The "Battle of the Baritones" at the Wigmore Hall/Kohn Foundation International Song Competition ended up with baritones taking all three of the top prizes. It repeats the baritone trifecta of the last competition in 2015, when Swiss bass Milan Siljanov took 1st Prize, German baritone Samuel Hasselhorn took 2nd Prize, and British baritone James Newby took 3rd Prize. What started with 150 singers from 42 countries ended up coming down to the baritone trio, plus mezzo-soprano Clara Osowski, who walked away for the Richard Tauber prize for the best Schubert singing. You can watch the entire final round HERE. First Prize went to New Zealand baritone Julien Van Mellaerts who received £10,000 and a Wigmore Hall recital offered at the discretion of the Director, Second Prize went to American baritone John Brancy who received £5,000 and Third Prize went to American baritone Josh Quinn who received £2,500. The Wigmore Hall/Kohn Foundation International Song Competition has been around for fourteen years and attracts some of the top young vocal and piano talent in the world. Singers compete in tandem with an accompanist. This Competition recognizes the song tradition as a whole and requires contestants to perform in at least three languages. At the same time it honors the Lied’s place at the heart of the song repertoire and celebrates the Shakespearean stature of Schubert in the genre. Baritones have historically fared well at the competition, with the amazing German baritone Dominik Köninger winning the top prize in 2011, Gavan Ring taking 2nd Prize in 2013, the famous 2015 trifecta and this year's repeat of baritones taking all three top prizes. The Competition is held only in odd numbered years. Battle of the Baritones at Wigmore/Kohn Competition? Three of the most talented young baritones in opera have made it to the final round of the Wigmore Hall/Kohn Foundation International Song Competition, which will be held on Thursday, September 7th. John Brancy, Josh Quinn, Julien van Mellaerts and compete alongside mezzo-soprano Clara Osowski, setting up a Battle of the Baritones (plus a low-voice female singer!). You can watch the final round live online at the Wigmore/Kohn website at 6 PM GST/1 PM EST/10 AM PST. You can watch the semi-final round HERE. Josh Quinn performed Schubert's Memnon, Poulenc 4 Poèmes de Guillaume Apollinaire, Finnissy's Outside Fort Tregantle and Schubert's Der Zwerg. John Brancy performed Schubert's Liebeslauschen and Erlkönig, Frank Bridge's Love went a-riding, Faure's Dans la nymphée and Wolseley Charles' The green-eyed dragon. Julien van Mellaerts performed Der Einsame and Wandrers Nachtlied II, Gurney's In Flanders, Butterworth's Is my team plouging? and Poulenc's Les gars qui vont a la fete. Google paid Russian baritone Eduard Khil the ultimate honor with creating a doodle for him on September 4th, which would have been his birthday. Khil was born in 1934 and died five years ago. 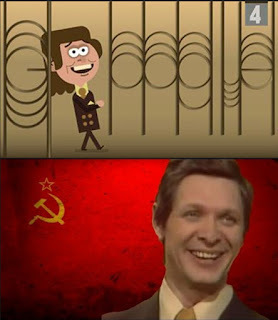 The Trololo video first appeared on February 21, 2010, the most prominent of those being the "Trololo" website trololololololololololo.com that helped push the video into popular awareness, receiving more than 3,000,000 hits in its first month. After his singing career faded in the early 1990s, Khil re-entered private life and worked in a cafe in Paris, singing cabaret. For his 75th birthday in 2009, Khil was awarded the "Order of Merit for the Fatherland, 4th Class" by Russia and the next year he performed in the St. Petersburg Victory Day Parade. Upon his death from a stroke in 2012, condolences came from all corners of the world, including from Russian President Vladimir Putin. 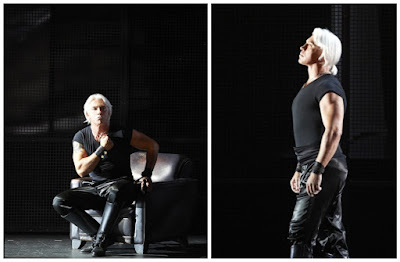 Barihunk Dmitri Hvorostovsky has pulled out of his September 22 recital at the Georges Enesco Festival "due to medical problems." The announcement comes just days after the Vienna State Opera announced that Marco Cario would be replacing the Siberian singer as Ankarström in Verdi's Un ballo in maschera. Hvorostovsky’s recital will be taken over by soprano Kristine Opolais. Hvorostovsky was diagnosed with a brain tumor in the summer of 2015 and subsequently cancelled concerts in Kaliningrad, Minsk and Vienna, as well as performances in the Met's production of Tchaikovsky's Eugene Onegin. He made a brief return for a concert in Toronto and appeared at the Met Gala. That leaves a September 26th recital at the Russian Federation in Moscow as the only remaining item on his calendar. A reader alerted us to British barihunk Jevan McAuley after seeing him perform Guglielmo in Mozart's Così fan tutte with Opera Holloway in Wiltshire. The opera has been updated to more contemporary times and is set in World War II. He has additional performances in Surrey on September 3, 22 and 23, in West Sussex on September 10 and in Oxfordshire on September 15. The cast also includes barihunk Przemyslaw Baranek as Don Alfonso, Callie Gaston as Callie Gaston, Sophie Dicks as Dorabella, Tom Morss as Ferrando and Lorena Paz as Despina. 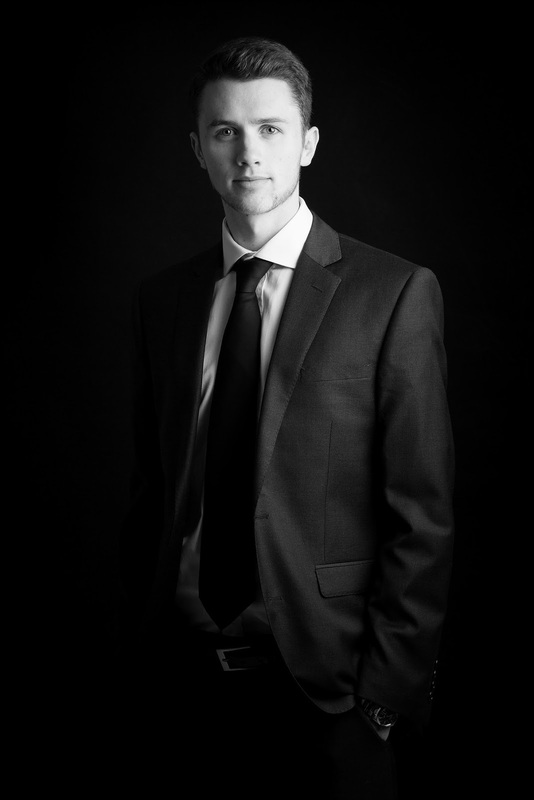 Jevan McAuley hails from Salisbury, Wiltshire and graduated from the Guildhall School of Music & Drama with a Bachelor of Music (honors) in Classical Voice and a Master of Music in Classical Voice. At Guildhall he performed Sid in Britten's Albert Herring, as well as roles in Don Giovanni, Rigoletto, Die Zauberflöte, La fille du régiment, La Rondine, Rossini's Il Signor Bruschino, Jonathan Dove’s The Adventures of Pinocchio and in Lennox Berkeley's A Dinner Engagement. Opera Holloway in 2009 in order to give young artists the opportunity to perform in opera at the early stages of their careers, and to present accessible performances to the public, particularly new audiences. The company has performed in a variety of venues from barns in Sussex to pubs in Wales. Tickets are available online. Half of Wigmore/Kohn competitors are low male voices; Watch live online! There will be no shortage of low male voice to root for in the upcoming 2017 Wigmore Hall/Kohn Foundation International Song Competition, as half of the competitors are baritones or basses. The impressive group includes British baritone Ed Ballard, American baritone John Brancy, British baritone Lawrence Halksworth, British baritone Gareth Brynmor John, Icelandic baritone Oddur Jónsson, Slovakian bass Peter Kellner, American baritone Will Liverman, Slovakian baritone Peter Mazalán, British baritone Nicholas Mogg, American baritone Josh Quinn and New Zealand baritone Julien Van Mellaert. We didn't see a single tenor amongst the competitors! Baritones have historically fared well at the competition, with the amazing German baritone Dominik Köninger winning the top prize in 2011, Gavan Ring taking 2nd Prize in 2013 and the famous 2015 trifecta, when Swiss bass Milan Siljanov took 1st Prize, German baritone Samuel Hasselhorn took 2nd Prize, and British baritone James Newby took 3rd Prize. The Competition is held only in odd numbered years. First Prize will receive £10,000 and a Wigmore Hall recital offered at the discretion of the Director, Second Prize receives £5,000 and Thrid Prizze receives £2,500. 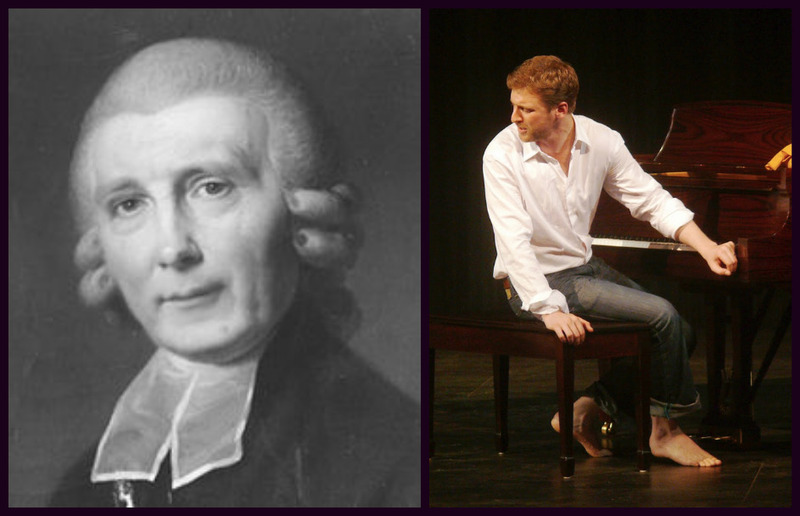 The Richard Tauber Prize for the best interpretation of Schubert lieder receives £3,000 and the best pianist receives £5,000. You can watch the semi-finals live on September 5th and the finals on September 7th. 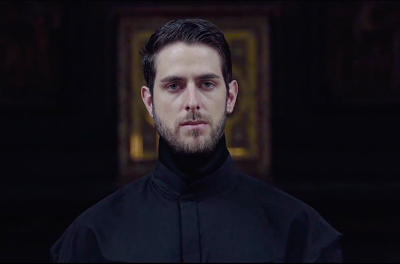 French barihunk Romain Dayez has created an innovative new project called Le Rapt Invisible, which intersperses Gregorian Chant, harmonics and electronic music with dance. The requiem aerternam composition was written by Dayez and Baptiste Lagrave, inspired by ancient sacred music. Dayez performs the vocals. American barihunk Jesse Blumberg rejoins the baroque string ensemble ACRONYM on September 29th for their performance of "Valley of Tears: Bass Cantatas and Instrumental Sonatas of Johann Rosenmüller." The program will alternate large ensemble chamber sonatas published in Venice in 1670 with unpublished bass cantatas, which ACRONYM has transcribed for baritone from manuscripts recently rediscovered in Berlin. The cantata, Salve mi Jesu, Pater misericordiae, contains the words lachrimarum valle, or “valley of tears.” Mid-career, the German composer was forced to flee from Leipzig to Venice after being imprisoned for alleged "homosexual activity." He lived in Venice for many years, lavishing his musical gifts upon that city and teaching at the Ospedale della Pietà orphanage for girls. He was considered a significant figure in the super-competitive music world of Venice in the late seventeenth century. In his later years, Rosenmüller returned to Germany with Duke Anton-Ulrich of Brunswick-Wolfenbüttel, at whose court he served as choir master. He died in Wolfenbüttel on September 10, 1684, and was buried there. Performances will be at Hamilton College in Clinton, New York and tickets are available online. 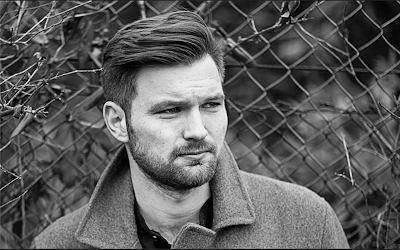 British barihunk James Newby has been named as the 2017 recipient of Glyndebourne’s John Christie Award, an annual scholarship given to a promising young singer to fund private study. Newby is a Jerwood Young Artist and was a member of the 2017 Glyndebourne Festival Chorus. He sang the roles of Marcellus/Player 4 in Hamlet, Messenger in La traviata and Notary in Don Pasquale in the 2017 festival; he also performed in the Chorus for all three of those productions, as well as La clemenza di Tito. A former student at Trinity Laban Conservatoire of Music and Dance, he won the 2017 Trinity Gold Medal. He has been awarded the Orchestra of the Age of Enlightenment’s Rising Stars prize for the 2017/2018 season, and will perform regularly with the ensemble in programs at the South Bank, King’s Place and on tour. 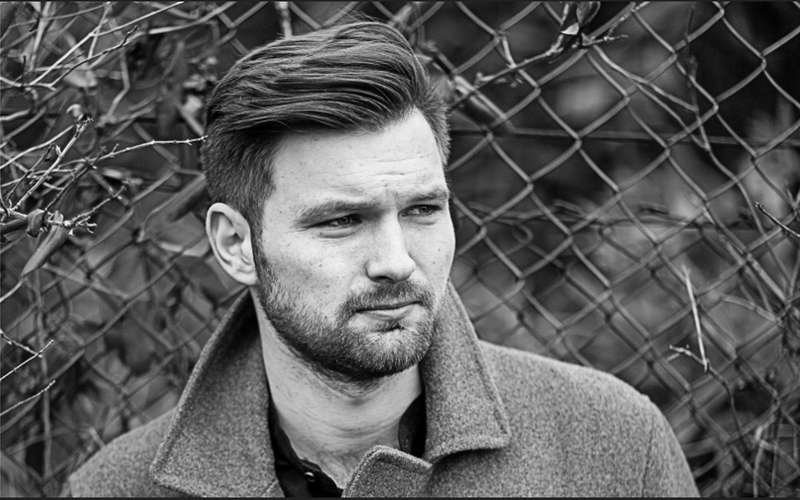 In 2016, Newby won the Ferrier Award and was awarded the Wigmore Hall/Independent Opera Voice Fellowship, and in 2015 he won the Richard Tauber Prize and third prize at the Wigmore Hall/Kohn International Song Competition. The John Christie Award has been presented by the Worshipful Company of Musicians since 1965. 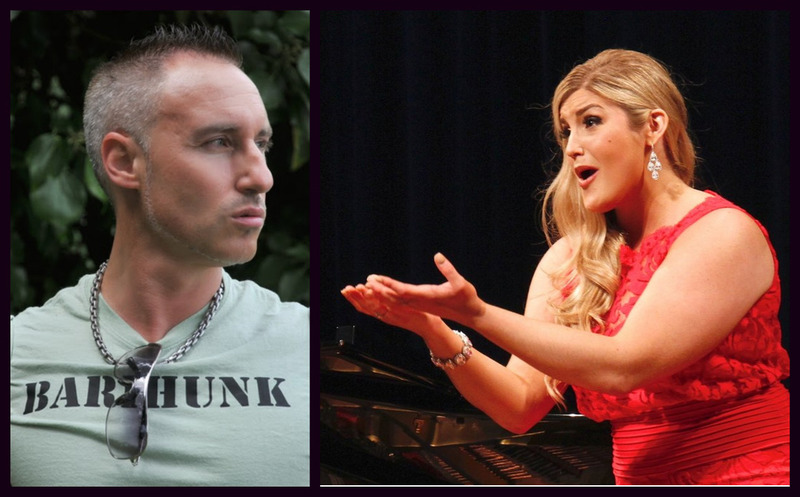 Past winners include Gerald Finley (1989), Kate Royal (2004), Matthew Rose (2006), Allan Clayton (2008), barihunk Duncan Rock (2010) and Louise Alder (2014). Newby was announced as the 2017 winner at the final performance of Glyndebourne Festival 2017 on August 27th.